Believe it or not, there is a lot of skill and technique in sprinting as fast as you in a straight line. Children love to run and are, at a basic level, pretty good at it. Children sprint everyday, at School, at Home, at Sport and pretty much anywhere they can. To be the fastest in their group, sport, team, or school competition, is a badge of honour. Some children are naturals and some have to work at it. If a child knows how to sprint with the correct technique, they are more likely to enjoy a wide range of sports and activities. If you ever go to a school/athletic track or sports day, you will notice that some kids are clearly better sprinters. They are not just faster, they have a much better running style and form and they simply look better when they run. Watch a soccer game, rugby game or any other running game and you will see the exact thing there. Some kids will run with arms and legs everywhere, veins popping out of their necks while others run with balance and strength. Unfortunately, games like football, basketball or other running games do not promote good sprinting style. Typically a child who runs in one of these types of sports will not sprint with the correct most efficient and fast technique. A child trained with correct sprint techniques, will excel in these sports. Doesn’t matter how natural your child is, there is only one way to develop best possible sprint technique and that is with dedicated sprint coaching. Once a child has undertaken quality sprint training, they will run faster and longer. This will help them to enjoy their sport must more and will help them in all aspects of their sporting life. Not to mention the confidence a child will gain knowing they can run faster than they ever thought possible. At Fast and Fit we specialise in coaching children from 8 years old and over to achieve their optimum speed. Not all children are going to be the next Usain Bolt and that’s fine. But all kids can, with the correct coaching, be trained to run much faster than they naturally run. 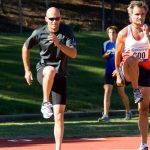 Incorrect sprint training by non qualified or amateur “coaches” can be at least unhelpful and sometimes dangerous. Young children are susceptible to stress fractures and bone issues if not properly managed. A coach must know more than simply how to teach someone to run faster. 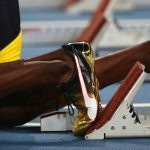 We will study their bio-mechanics and design a dedicated session plan to promote correct sprinting technique. But most importantly, at the same time as sprint coaching, we also ensure the child has fun and enjoys the experience.